About nine months ago, I wrote about this coming song here! The track features musicians from This Is The Kit, Portishead, Radiohead and Massive Attack, and was produced independently in Bristol U.K. 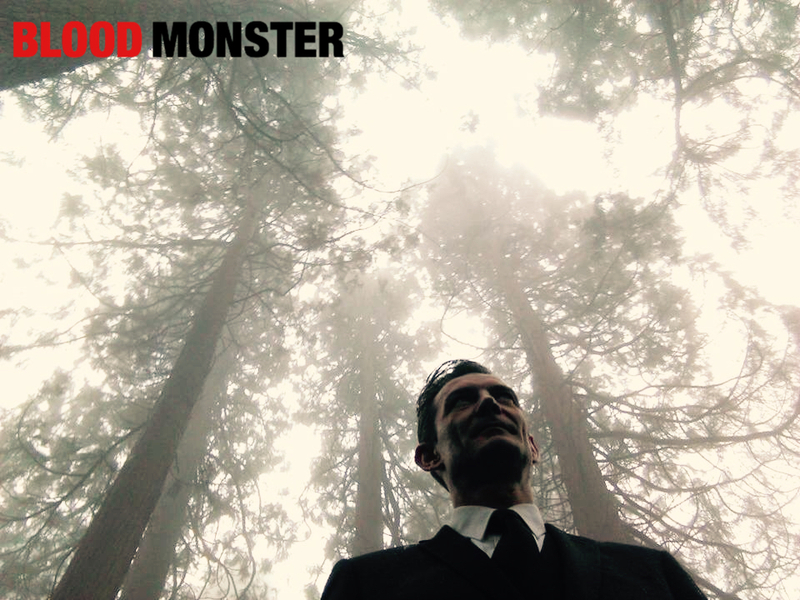 The video for 'BLOOD MONSTER' was written and directed by Goodrich and Bristol filmmaker Albion Maynard. Filmed in and around Bristol, it features Julian Landau, lead singer of local legends Zen Hussies, as a suit-wearing, briefcase-brandishing 'man in black', travelling door to door through suburbia, hypnotising ordinary people into a frenzy of hatred, division, and violence. The film plays out as a nightmare, with the action serving as a metaphor for state and corporate coercion, be it the rise of right-wing conservatism, warmongering, populism, fascism, etc. Produced by Bristol singer-songwriter Jimmy Goodrich, 'BLOOD MONSTER' is a special project in aid of STOP TRUMP COALITION. Help them to organise the largest demonstration in British history ahead of Donald Trump’s visit to the U.K. in 2018! "As some of you know, for the last 18 months I have been secretly working on a benefit single and video for Stop Trump Coalition (stoptrump.org.uk) as they organise ‘the largest demonstration in British history’ ahead of Trump’s visit to the U.K. in 2018." The work brings together some of Britain's most talented musicians, filmmakers and visual artists. All profits from this unique collaboration will help to fund the largest political demonstration in British history, ahead of Donald Trump’s visit to the U.K.
Clive Deamer is one of the world's most celebrated drummers, defining the sound of Portishead, Radiohead, Robert Plant and many others. Clive plays drums on 'Blood Monster'. Stew Jackson is a producer and songwriter with Massive Attack, currently at work on their latest EP. Stew plays guitar and created soundscapes on 'Blood Monster'. Goodrich is a songwriter, vocalist and multi-instrumentalist from Montréal, Canada. He has opened for Rufus Wainwright, Amy Winehouse and many others. Goodrich wrote the lyrics and sings lead vocals on 'Blood Monster'.